To us, every step of the process is an opportunity to innovate. Formation was formed 20 years ago by a group of experienced industrial and interaction designers with proven track records of creating award winning and market leading products based on the principles of human centered design. Over the years we’ve grown by expanding our team of designers, adding senior design leadership, design specialists and engineering expertise. Robert Henshaw is one of the founding partners of Formation Design Group. Robert focuses primarily on Formation's transportation related programs for clients such as Airbus, B/E Aerospace, Crown Equipment and Textron, as well as managing a portfolio of independently developed IP. Before partnering to establish Formation, Robert worked as an industrial designer at IDEO, Crown Equipment Corporation and Siemens. While at Crown, Robert led the design development of numerous award-winning products including the creation of a new industry archetype, the RR5000S sit/stand reach truck in 1997. He also developed the initial concept for a battery counterbalanced monomast truck configuration that was patented & later developed into the Crown RM 6000S MonoLift™ Reach Truck, which received a Gold IDEA award in 2012. 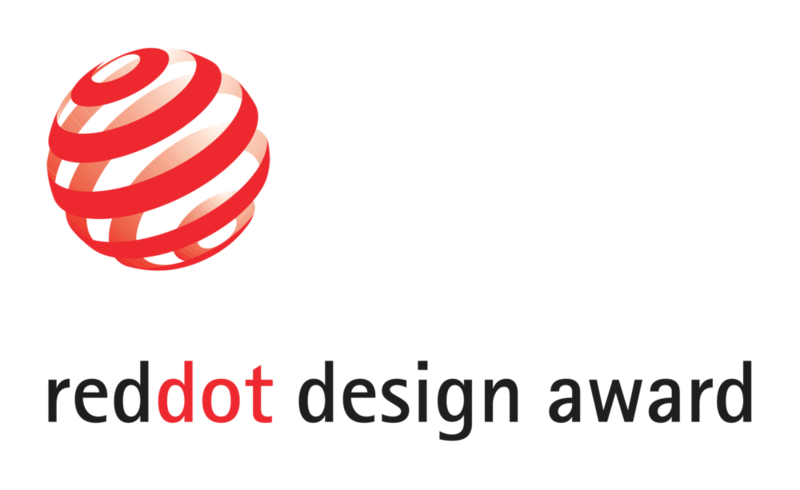 Robert’s design and research work has been recognized with many international awards, including numerous IDEA awards, Top Ten IF, Red Dot, Crystal Cabin Award, ID Magazine, GOOD Design- Chicago Athenaeum, ASA Universal Design award and an Alexander C. Williams Award. He is named on over 75 design & utility patents. Robert holds a BSID from the University of Cincinnati. Russell Kroll is one of the founding partners of Formation Design Group. With a background in Industrial and Interaction Design, Russell directs innovation programs for a broad range of client companies - from start-ups to some of the world’s best-known brands. Russell has worked as an industrial designer and program manager in the US and Europe. He draws on a diverse product development background to create novel solutions for client companies. Russell prefers complex projects and challenging assignments typically found in healthcare, industrial equipment and other commercial product categories. He has a hands-on approach characterized by direct involvement throughout all phases of a project; from inception and research through detailed execution. He believes the secret to successful product development lies in lean teams capable of strategic thinking as well as tactical execution - design thinking combined with design doing. Russell’s work has resulted in numerous patents and international design awards. He has a Bachelor of Science in Industrial Design from the Institute of Design at the Illinois Institute of Technology in Chicago and a Master of Fine Arts in Interaction Design from the Designhögskolan at Sweden’s Umeå University. Phil Palermo is one of the founding partners of Formation Design Group. Phil has almost 30 years of experience leading a wide range of design programs spanning many industries including: medical, commercial equipment and recreational products. Phil works closely with his Partners to keep a tight vision for Formation and maintaining a strong presence in the design community. Phil is an advocate and lead user of digital tools, particularly three-dimensional modeling applications and challenging surface development. Persistent exploration of these technologies combined with unique industrial design methodology has helped shape Formation's digital development process. Phil's work has gained considerable recognition through national and international design awards. Phil is named on no less than 30 design and utility patents and has a growing collection of Red Dot, Industrie Forum and IDEA awards. Phil has a Bachelor of Science in Industrial Design from the University of Cincinnati. Prior to founding Formation design group Philip led programs as an industrial designer at Hill-Rom and as a project design lead at Crown Equipment Corporation. Rob is an experienced Design leader recognized for establishing key partnership opportunities through a global open innovation process, resulting in product and business strategic innovation solutions. Recently, Rob was Vice President of Innovation & Ventures at Faurecia in Sunnyvale, California, where he led Faurecia Ventures mission to complement and energize innovation themes, including Smart Life on Board and Clean Mobility by identifying, incubating, and investing in early state startup companies that generated exceptional long-term value. He established and led Faurecia Ventures as an internal Corporate Venture Group, initiating and completing numerous investments resulting in acceleration of key innovation themes. Previously, Rob was Vice President Innovation for Faurecia in Holland, Michigan where he was the founder and leader of the global advanced development team, xWorks, a cross functional team, focused on automotive seating and interiors, with locations in Michigan, Munich, and Shanghai. Faurecia received PDMA Outstanding Corporate Innovator award based on xWorks organization and Innovation process. Prior to that, Robert was Executive Director of Design for Johnson Controls in Holland, Michigan. He led cross-functional teams developing numerous innovations positioning the company as an innovative leader within the Tier 1 Automotive supply base, resulting in numerous design and innovation awards. Rob began his career as a Designer at Chrysler Corporation designing award winning advanced concepts and production vehicles. Rob completed a Bachelor of Science in Industrial Design at the College of Design, Architecture, Art & Planning (DAAP) at the University of Cincinnati, Ohio as well as the Venture Capital Executive Program at UC Berkeley Executive Education. Over the years, Formation’s capabilities have expanded because of our commitment to finding excellent people dedicated to innovation. Our cross-disciplinary team includes industrial designers, researchers, engineers, model makers and UX focused designers with a persistent spirit of curiosity, design and creativity. We have experience working with large corporations, startups, and everything in between.